Campus security intervened and made me stop the performance after approximately 15 minutes. I was told that placards were banned unless official permission was obtained in advance. I later found out that there was no such rule. The performance was censored despite being part of an official Concordia conference event. 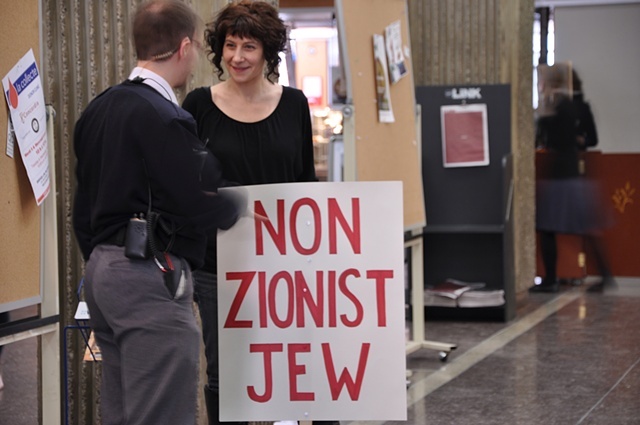 Ironically this act of censorship stifled discussion among individuals with varying political views on Israel-Palestine. It occurred during a time of escalating censorship of those who voice critical opinions of Israeli-state actions against Palestinians.